Keeping your system and data safe is hell lot of a critical job. As cybercrimes are rising day-by-day the need for practicing healthy security measures have become mandatory. If a system gets infected by viruses, malware or trojans it can severely impact PC performance. These programs are specifically designed to infiltrate user's computer network and cause damage. Therefore, it is essential to take a step forward and look for a solution that solely protects the system from vulnerable threats. Systweak Advanced System Protector is one such tool that effectively detects and eliminates malicious infections from a personal computer. 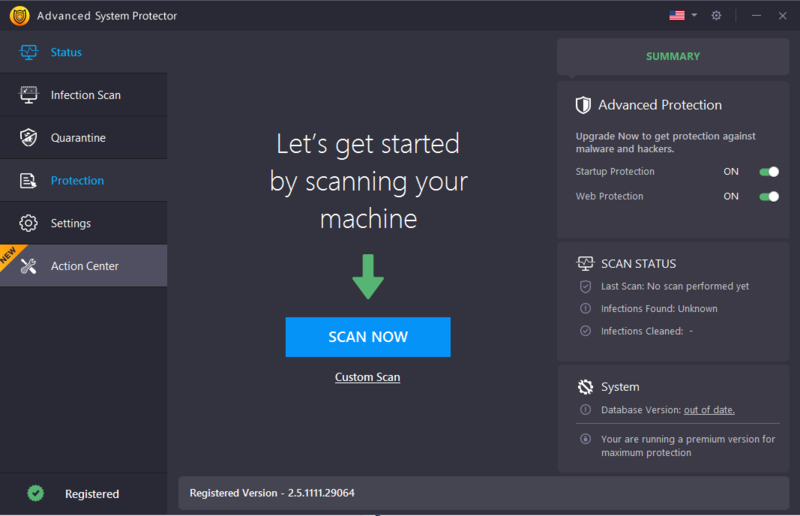 It proffers real-time protection which simply roots out dangerous malware, infectious files and spyware that might harm your PC.Advanced System Protector is a bundle of antimalware, antispyware tools which keeps the bad guys out of your network. The software is loaded with a huge database of spyware definitions which effectively and efficiently identifies which program or service can be a serious threat. It comes with multiple scan modes that allow users to clean computer with blazing speed than most anti-virus software. No matter, where the malicious or infected files are located, Advanced System Protector will find them in a fraction of seconds. Despite all the features, the software is extremely light on system resources, therefore it doesn't interfere with other apps that are running on the computer. The software claims to clean nearly 100% of detected threats and ensures amazing browsing and PC Experience like never before. Consider installing Advanced System Protector to enjoy world-wide-web without the fear of your PC being compromised with malicious and infections.